Hagen uses high quality carbon that is made to fit the Aqua Clear 200 (20) filter perfectly, replace often for crystal clear water. Remember to never rinse in tap water, the chlorine will kill the beneficial bacteria that was cycled in the foam an bio material. Always rinse in your discarded water-change water. 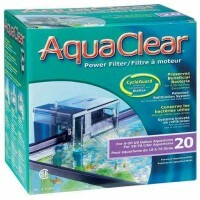 Adds not only Chemical Filtration, but also Biologic Filtration too. 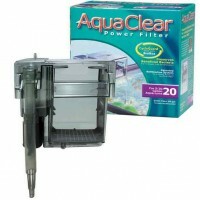 Replacement of these Carbon Filter Inserts Monthly to Insure Crystal Clear Water for your Viewing Pleasure. Replacement also Reduces Toxic Ammonia and Discoloration. Easily Replacement with the Hagen Carbon Bag (included).